My ggggrandmother was Julia Boyle who married James Donoghue sometime in the later part of the 18th century. There were three main landlords in the Benmore/Ballyduff area - Stoughton, Gun(n) and Rice. In 1748 the commons of Benmore and Rattoo were divided between the Gun(n) and Stoughton families. The Gun(n)s lived at Rattoo House (built in 1836 and shown left as it is today) and theirs was the big tomb inside Rattoo church in the burial ground of which lies my ggggrand uncle Sylvester's tomb. The forename Wilson is distinctive in their line. The Ballyduff Magazine Volume 1 had an article on Wilson Gun/Ratoo Landlord. I am currently logging all references to our and the Boyle name in the Causeway parish registers. On 17 June 1832 Catherine Gunn was born to Wilson Gunn and Catherine Rahilly of Rattoo Lodge. The only sponsor (godparent) recorded was Julia Donoghue. Our ggggrandmother would have been in her fifties and I have not found another candidate yet. The article says Wilson married Gertrude Allen in 1839 so Catherine Rahilly must have been an earlier marriage or ‘adventure’. This suggests Julia must have been quite a friend (or perhaps a nanny) and that the 'big house with horses' that my Uncle Len always talked about might have been Rattoo House. 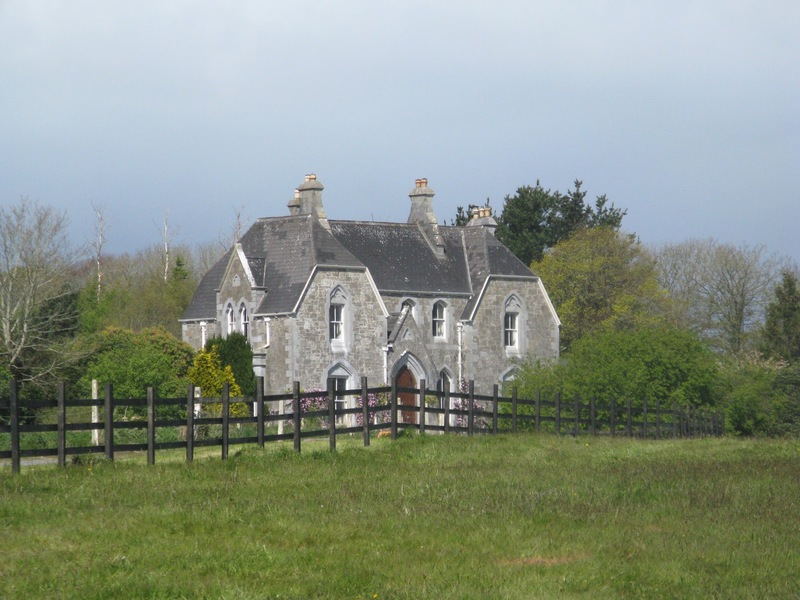 As I reported in my first blog, ‘My O’Donoghue family from Ballyduff, North Kerry’, Julia stayed in Ballyduff when her children left for the East End of London in 1851, I wonder if she stayed in the village to tend to Catherine, who would have been 19, perhaps Catherine Rahilly had died. At the baptism of Thomas and Ellen's last child Mary Ann in Poplar in 1852, one of the sponsors was Elizabeth Gunn. Wilson Gun(n)’s youngest sister was named Elizabeth. Is it possible that she was there for this baptism out of respect for the family connection, even possibly to represent Julia who would have been too old to travel perhaps? Wilson Gun(n)’s sister Emma married George Browne of Listowel. One of the witnesses at my great grandparents, Thomas and Mary Sullivan’s wedding in Poplar in 1865 was Nicholas Browne. Perhaps this is all coincidence but I don’t think so. The Gunn and Browne families did not fall so low as to finish up in mid-Victorian London’s East End, but it seems that the family connection was maintained. Julia’s landlord in 1853 was Thomas A Stoughton, who lived at Ballyhorgan House. In 1813 Anthony Staughton married Mary Hackit in Beenduff, and one of the witnesses was William Boyle, perhaps one of Julia’s siblings. I have assumed that Beenduff is some combination name for Benmore and Ballyduff because there is no other recognised townland of that name in Kerry, let alone Causeway parish, quite possibly erroneously. 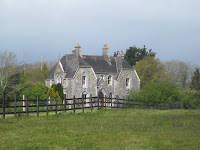 The Rices lived at Bushmount House, Ballyduff and I have found no connection with them yet. All this plus Sylvester's mausoleum and Julia's house in the village suggests our Irish family were a bit better off than finishing up in the pits of the mid-nineteenth century East End of London conjures up! I will write more about the area in which they settled in a later blog.